The 2017 Nissan Juke is a smart, spunky compact-crossover SUV that continues to stand out with its expressive styling, a feature-rich interior and a turbocharged engine. No longer alone in the segment it started, the Juke now faces fierce competition from performance-oriented subcompact-crossover SUVs like the Mazda CX-3 and Fiat 500X, not to mention Honda's HR-V and Chevy's Trax. I love this car. It is very comfortable and quiet. Drives well in all weather. I live in an area that gets a lot of snow, I was surprised how well it drove in winter weather conditions. It is a very attractive and unique style. I get compliments almost every day. Gas mileage is great and it picks up speed quickly. I am five ft two and fit very comfortably, my seat is pretty far forward so a much taller person would easily fit, however my son who is six ft three is uncomfortable when driving my car, so maybe not a good choice for a tall man. My daughter who is five seven is able to drive my car comfortably. I am very pleased with my purchase and would recommend this vehicle. The crossover that is so imaginative, even your daydreams didn't see it coming. My juke is, by far, one of the most fun cars that I have ever owned! Crossing my fingers, but I have had no issues or problems with my juke thus far. It runs extremely smoothly and is incredibly comfortable for short to cross country road trips. As far as its features, it truly has everything you could want or need to accommodate the many technological toys we have today! I couldn't ask for a better and more reliable car! Snazzy and safe compact pleasurable ride. This is a solid small automobile. Compact outside with a roomy, upscale interior. Broad wheelbase gives you the feeling that you are well-footed on the road. Handles well in downpour conditions without hydroplaning off the pavement. Great driver's visibility around the car--no blind spots (driver is 5'7"). Controls are well within easy reach. Sound system is unbelievably rich in tone! 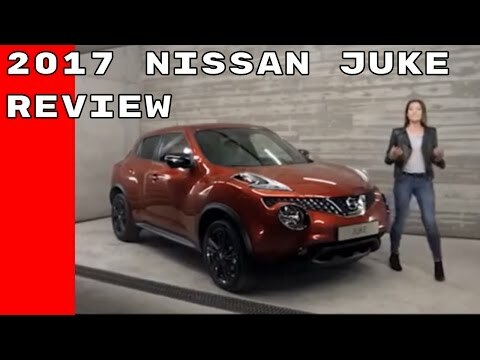 Nissan Juke review - What Car? Nissan North America, Inc. (Nissan) is recalling certain 2015-2017 Nissan Juke Nismo RS vehicles. Due to a problem within the brake master cylinder, brake fluid may leak into the brake booster, reducing brake performance. Nissan will notify owners, and dealers will replace the brake master cylinder, free of charge. The recall began March 19, 2018. Owners may contact Nissan customer service at 1-800-647-7261.